This is block # 5 for our City Girl Sew Along and it is called The Loft. Pictured here is the dining room of the loft, featuring a long table top with pedestal base, as well as a painting on the wall. Easy to put together, so gather your materials and follow along. Note: my prints are by Riley Blake Designs: the pedestal base was cut from their Blenders C200, and the prints are from an older collection - can't remember the name). 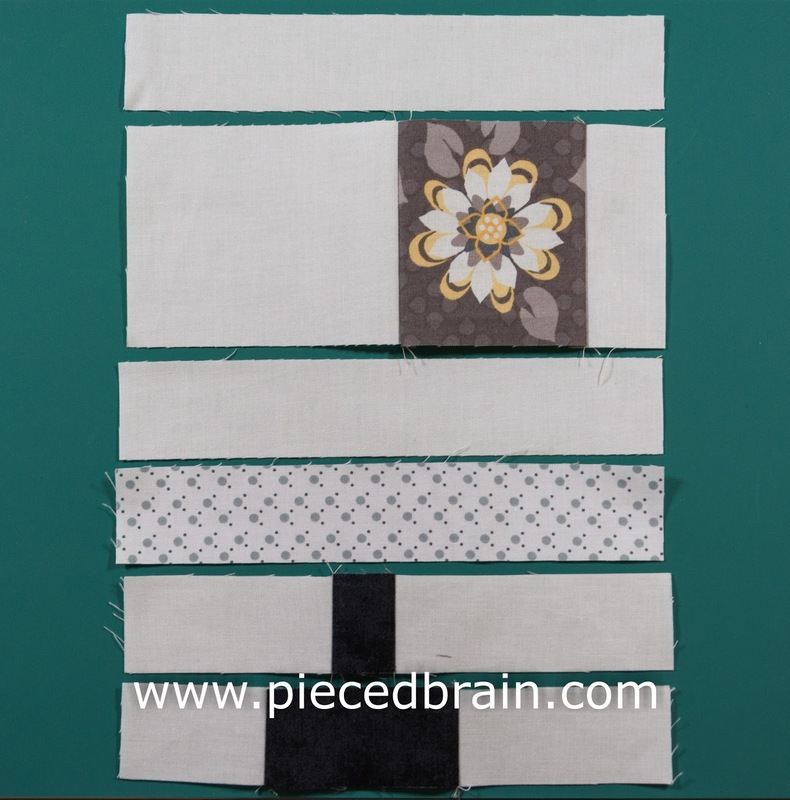 Arrange fabric pieces next to your sewing machine as shown above. Using your favorite thread (mine is Aurifil - I use this color ALL the time), sew the white rectangle to the flower square, then add a 3-1/2" rectangle to the right of the flower. Next, stitch together a 3-1/2" rectangle to the 1-1/2" dark gray square, then add the 4-1/2" rectangle to the right of the square. Finally, stitch together the pieces for the bottom of the pedestal base. And... you are done. Block #6 will be published next Thursday - I think you will like it. 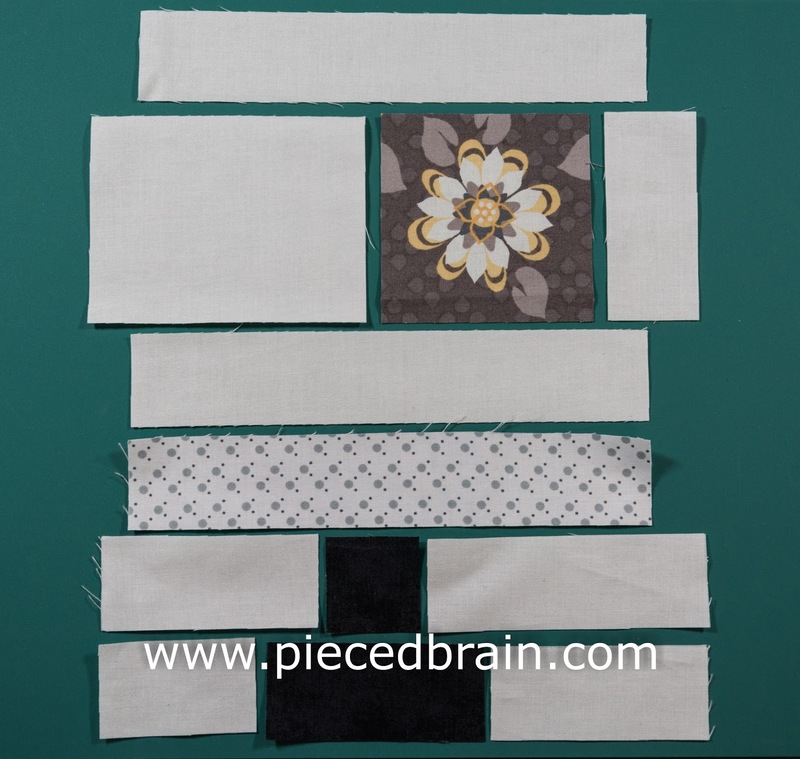 We will be piecing it, not applique. 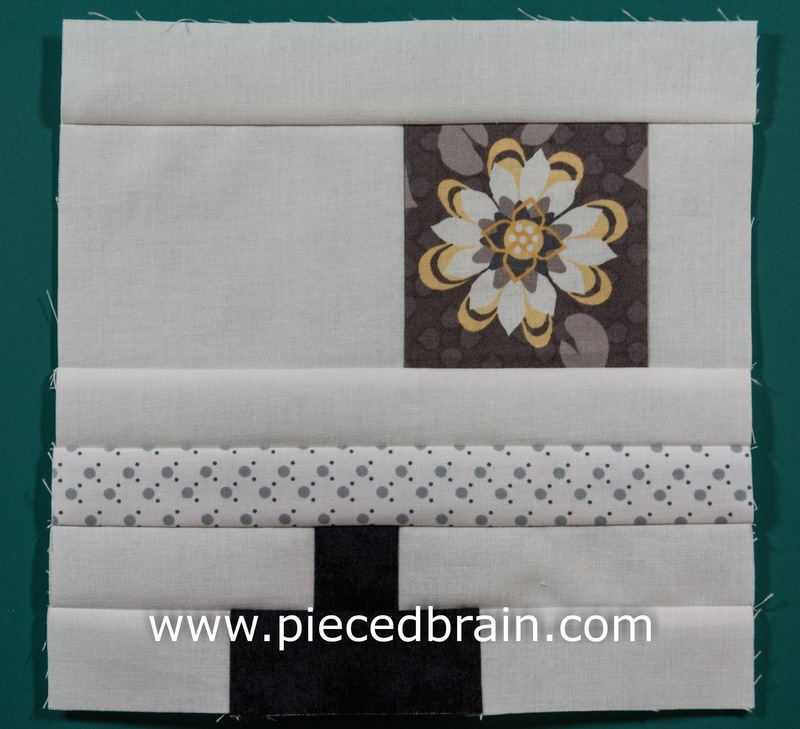 If you have just joined us, you can find directions and templates for all the blocks under the City Girl Sew Along tab. Oh, wait, don't go yet! Here are the blocks that Ann Marie has sewn already! Don't you love her fabric choices? Go ahead and send me pictures of your blocks when you are ready and I will post them, too. Also, the Layer Cake Giveaway ends today at 5PM - click here for your chance to win fabric for your next project. In the meantime, have fun today! Wow, there are my blocks! I hope I'm not the only one making them. Denise is sew creative and the blocks sew unique. Fun to make! Thanks, Ann Marie. The colors on your blocks are so striking! lol what quilters will do for free fabric...nearly 300 comments on your giveaway! Cute blocks here! I am working on Tula's City Sampler (slowly); these remind me of it! Great fabrics, uh huh!